Please write if you want to contribute, have comments, or would like to send something for review! 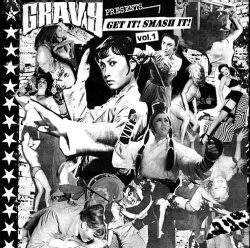 The first ever GRAVYzine Compilation! On limited edition colored vinyl, with liner notes by Eric Davidson of New Bomb Turks, and label and back cover design by famous illustrator Steven Cerio!